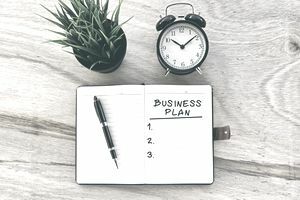 One of the most important aspects of any small business is to have a well-thought-out, strategic business plan. In my retail consulting, I find that less than 10% of independent retailers have an actual business plan. And those that do, it's because the bank required them to write one to get a loan. It's no wonder over half of all small businesses and retailers fail within the first three years—they have no plan. Sure, they have an idea and it might even be a great idea. And they have passion and they have the drive, but lacking a written plan, they have no map. Just like any destination, you need a road map to get there. In today's technology-driven society, we have become people of shorthand and cutting corners. We devalue the idea of a business plan; it takes too much time to write and develop and we want to get started NOW. The executive summary of a business plan is the "1-pager" of your idea. It challenges you to articulate your vision into one or two pages. If it takes 10,000 words to explain your vision for a retail store, it will never work. If it can be distilled eloquently in a page, then it has a chance. We call this page, the executive summary of the business plan. The executive summary features the highlights of the entire business plan. It grabs the reader's attention, explains who and what this business is all about and why he or she should continue reading. Just like the headline in an advertisement, the summary needs to make the reader desire to know more. Remember that this is a summary so be sure to offer a synopsis of each section of your business plan. However, just like the cover letter of a resume, it could be the only part of your plan ever read -so make sure you've included the most important points. Write to engage the reader and keep the tone positive and upbeat, but not lofty. It needs to be realistic. The executive summary should be no more than one or two pages. Remember, if you cannot attract the reader's attention in that amount of words, then you will have a bigger problem attracting the customer's attention. After you have written your executive summary, share it with some friends. See if they can garner your vision from reading. Do they have a ton of questions? Do they have a lot of doubt? It may not be your vision, but your ability to articulate it. While it appears at the beginning of the business plan, it is recommended to write this part last. Spend your time agonizing over the idea, the strategy, and the details and then write the summary. It will help you craft a more compelling vision.